Will Tories and Lib Dems betray their own words as well as the NHS? Alex Hern covers Baroness Thorton's proposed amendment to the NHS bill. Will Tories and Lib Dems betray their own words as well as the NHS? Baroness Thornton, along with three other Labour peers, has introduced an amendment to the health and social care bill going through the House of Lords, that aims to embed in legislation a full description of the principles of the NHS. (1) Any person or body performing functions or exercising powers under this Act in relation to the Health Service in England must have regard to the principles and values outlined in the NHS Constitution. (2) Any person or body performing functions or exercising powers under this Act in relation to the Health Service in England, or providing services as part of the Health Service in England, must provide quality, equity, integration and accountability, not the market. (3) The primacy of patient care shall not be compromised by any structural or financial re-organisation of the Health Service in England. (4) There must be transparency and openness wherever taxpayers’ money is being spent, and all accountable individuals and bodies should abide by the Nolan principles. (5) “The Nolan principles” means the seven general principles of public life set out in the First Report of the Committee on Standards in Public Life. (6) Schedule (Principles of the Health Service in England) has effect. Each of these principles puts into law claims independently made by the coalition. It is a document built from their own words, and if they vote against it they will be recanting their rhetoric to keep their bad bill law. Principle one brings the NHS constitution into the bill, in the same way as it was in the 2009 health act. i) Is genuinely centred on patients and carers. ii) Achieves quality and outcomes that are among the best in the world. iii) Refuses to tolerate unsafe and substandard care. iv) Puts clinicians in the driving seat and sets hospitals and providers free to innovate, with stronger incentives to adopt best practice. v) Is more transparent, with clearer accountabilities for quality and results. vi) Is more efficient and dynamic, with a radically smaller national, regional and local bureaucracy. 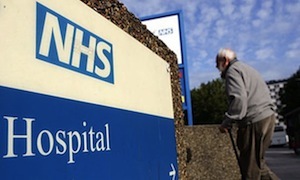 vii) Gives citizens a greater say in how the NHS is run. Principle three brings in the famous claim in the coalition agreement to be against any top down reorganisation. We will stop the top-down reorganisations of the NHS that have got in the way of patient care. We are committed to reducing duplication and the resources spent on administration, and diverting these resources back to front-line care. Finally, principles four and five incorporate the government’s response to the ‘future forum’ – Lansley’s ‘listening exercise’. The Nolan principles are rules regarding exercise of public power, and are needed to prevent the conflicts of interest we highlighted earlier this month. Commissioning groups will be required to have governance arrangements consistent with Nolan principles, and will be held to account for this on an ongoing basis. All that remains to be seen is if the coalition will betray their own words while they betray the NHS.